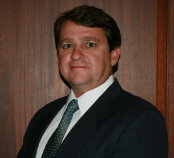 Jeffery W. Williams PE / PLS, is the President of Williams Engineering Consultants, Inc. Mr. Williams is a graduate of the University of Mississippi Civil Engineering program ('89) and a Registered Professional Engineer in the states of Mississippi, Alabama, and Tennessee as well as being a Registered Professional Surveyor in the state of Mississippi. With many commerical and residential developments and highway related projects completed, the company has developed and maintained a reputation that is highly respected. Richard S. Daniels PLS, is the Survey Coordinator for Williams Engineering Consultants, Inc. Mr. Daniels joined a consulting engineering firm in Oxford, MS in 1986 after graduating High School. This firm was the Lafayette and Marshall County State Aid and LSBP Engineer. Employed with this firm for nineteen years, Mr. Daniels started with Williams Engineering Consultants, Inc in April of 2004 . During his tenure with Williams Engineering Consultants, Mr. Daniels has continued to evolve in the Surveying and Engineering world; keeping up with the latest in Surveying Technology.